In 2016, doctors performed 216,000 bariatric procedures in the United States, according to estimates from the American Society for Metabolic and Bariatric Surgery. Bariatric surgery can be a life-saving procedure, especially if you have a disease associated with obesity. If you think this treatment might be right for you, book an appointment online or by phone with Dr. Matthew Lublin, MD, FACS, in Santa Monica, California. Dr. Lublin performs two types of bariatric surgery: gastric banding and gastric sleeve. Generally, people who have a body mass index (BMI) of 30 or more along with another chronic condition, such as Type 2 diabetes or hypertension, qualify for gastric banding. In the procedure, a flexible, silicone band goes around the top of the stomach, limiting the amount of food you can eat at one time. No part of the stomach is removed in gastric banding. If you have a BMI of at least 35 and have another obesity-related disease, you may be a candidate for gastric sleeve surgery. In gastric sleeve surgery, approximately 80% of the stomach is removed, which limits the amount of food you can consume at any given time. Multiple studies have shown that bariatric surgery can lessen, and in some cases resolve, the diseases associated with obesity. In one study, nearly 77% of people with diabetes who had bariatric surgery saw their diabetes eliminated. Also, bariatric surgery is one of the only treatments proven effective for long-term weight control. If you are obese, you are probably familiar with how difficult it is to lose weight and then keep the weight off. What happens following bariatric surgery? Immediately following surgery, you may need 1-2 weeks to recover before returning to work. However, you will be able to begin exercising — gently — even while you are still in the hospital. Changing your lifestyle is critical to the success of bariatric surgery. 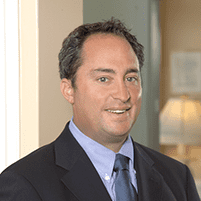 Dr. Lublin will discuss all of the risks and benefits associated with the procedure, as well as develop a plan for you to follow after the surgery. Schedule a consultation with Dr. Lublin to learn more about the risks and benefits of bariatric surgery, and whether you may be a candidate.